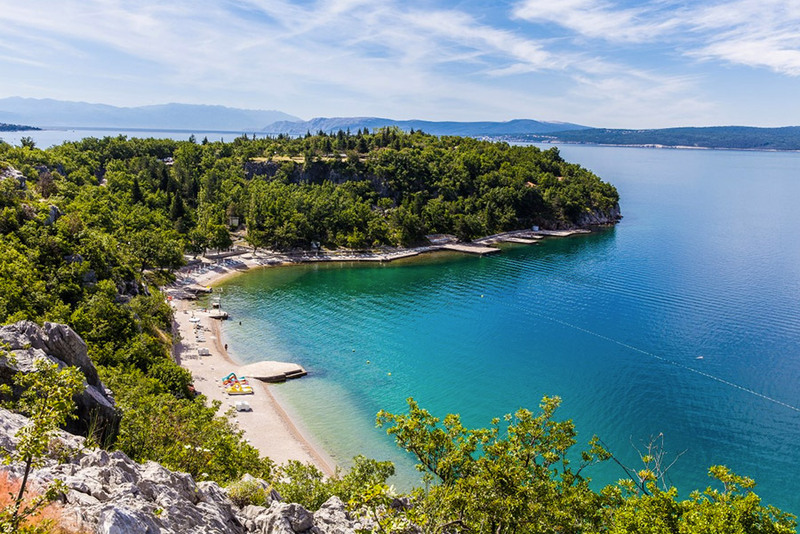 Kacjak Beach is located on the peninsula in Dramalj on the Crikvenica Riviera. The beach is sandy and rocky with some paved sections where you can rent deck-chairs and beach umbrellas to enjoy the beautiful summer day. Kacjak bar is located at the back of the beach, in which you can refresh yourself during the hot days. The beach is supervised by lifeguards so you can fully relax and enjoy your vacation. Be sure to visit the restaurant located on the beach and savor a variety of specialties. There is a sports center where everyone can find a hobby for themselves near the Kacjak beach. You have numerous courts at your disposal: for tennis, badminton, table tennis, mini golf and many other sports.